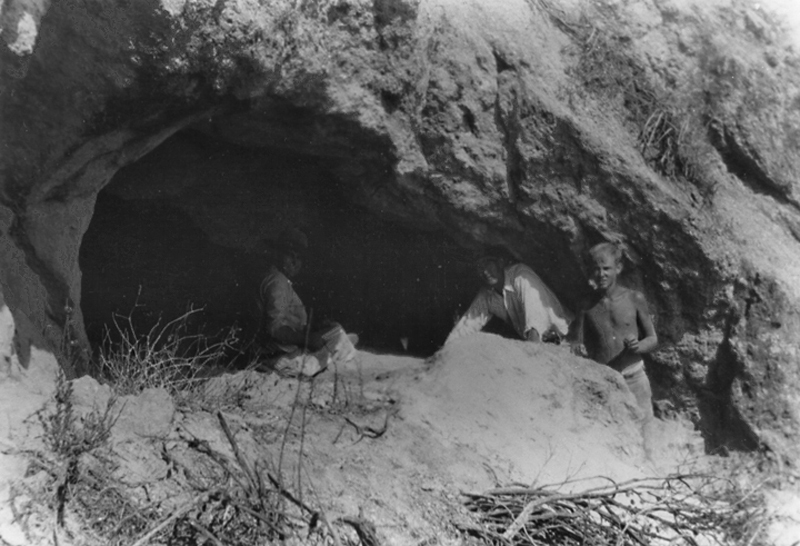 Richard F. Van Valkenburgh (inside cave), Arthur B. Perkins and Perkins' son Arthur Jr. explore Bowers Cave. Undated photo, but probably around 1951 when Van Valkenburgh "rediscovered" it. AP0812: 9600 dpi jpeg from copy print.